In this book, the author makes an effort to bring the developmental neurosciences closer to the people who diagnose and treat children with motor disorders. Many years of experience with children who have developmental disorders has led the author to conclude that a developmental neurobiological approach together with thoroughful clinical examination and the knowledge of today neuropsychology are indispensable. It has become clear that all the various professionals involved, child neurologists and psychiatrists, occupational therapists and physiotherapists as well as child neuropsychologists, are in need of information on the relationship between brain, behaviour, learning and motor function in a practical clinical context. Topics of this book are the neurological examination of the child as well as the somatocognitive or clinical neuropsychological assessment. This is of interest for the professionals who examine a child. The author specialized in (child) neurology and psychiatry and has been for 35 years a paediatric neurologist in Amsterdam, the Netherlands. He wrote a thesis on equilibrium physiology at the Psychiatric Centre Sainte Anne in Paris with the ophthalmologist Jean-Bernard Baron. 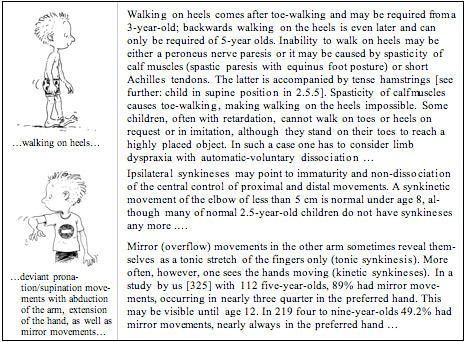 The author studied with developmental neurologists Heinz Prechtl and Bert Touwen in Groningen, special education and child neuropsychiatry with the late Frits Grewel in Amsterdam, clinical paediatric neurology with Jacobus Willemse in Utrecht, the Netherlands and child aphasiology with child neurologist Isabelle Rapin in New York. 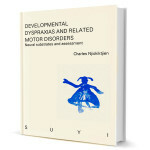 Charles Njiokiktjien has done joint research and published with neuropediatrician Claudine Amiel-Tison in Paris, developmental physiologists Deborah Farber and her colleagues Natasha Dubrovinskaya, Maria Knyazeva and Vladimir Vildavsky in Moscow, with child neurologist Tatsuya Koeda in Tottori, Japan and with clinical neurophysiologist Kees Jonkman and neuropsychologist Leo de Sonneville in Amsterdam. He did joint research into motor disorders with occupational therapist and neuropsychologist Ank Verschoor in Amsterdam, movement scientist Maria Vranken in Leuven, Belgium, and with education specialist Wally van Grunsven in Eindhoven. The author has given workshops and lectures in most European countries, Russia, Japan, Indonesia and the United States of America. Suyi Publications has published the English book series ‘Paediatric Behavioural Neurology’. ‘Clinical Principles’ was volume 1, written in 1986 by Charles Njiokiktjien, followed in 1988 by Volume 2 ‘Aspects on Information Processing’ by neuropsychologist dr. Leo de Sonneville, in 1991 volume 3 ‘The child’s Corpus Callosum’ with amongst others dr. Guy Ramaekers, psychiatrist and in 1993 volume 4 ‘Developing Brain and Cognition’ with Deborah Farber and collaborators.